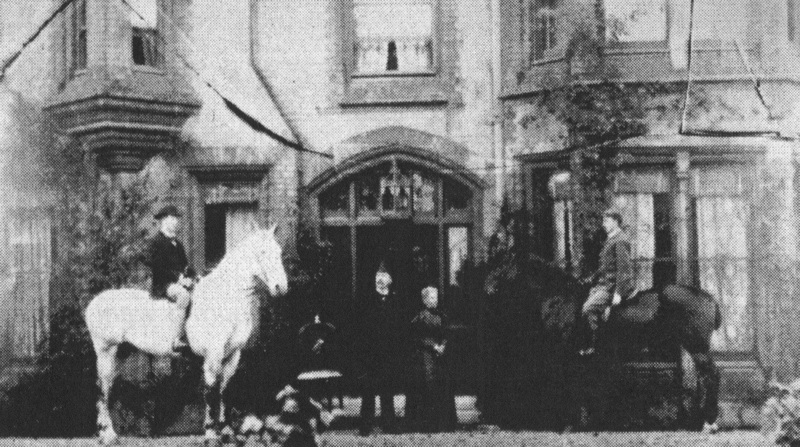 Whitehill House, the home of H Porter JP and his family, in 1895. The house, which took its name from the chalk hill on which it stood, was later renamed Aviation Hall by the Marshall family, who built their first aerodrome on farmland behind it. The house was demolished to make way for Quainton Close, but some of its trees survive. In 2002 Caroline Biggs and John Durrant collected memories and photographs of local residents and published them in the book Memories of Abbey & East Barnwell, vividly portraying the life of this part of eastern Cambridge throughout the 20th century. Coconuts is grateful to Caroline and John for their permission to reproduce some of those memories and photographs here. Naturally, most of the memories below are of Abbey and Cambridge United, but they also show how the area has grown over the last century, along with its football club. The area around today's Abbey Stadium has changed almost beyond recognition over those 100 years. The first contributor from 2002, Marie Clark, sets the scene. I was born in 1925 at 44 Ditton Walk (now 17) and have lived in the Barnwell area ever since. What is now Ditton Fields used to be a large field to which we could gain access at the top of our garden. I understand a military hospital had been built there during the 1914-18 war but was later demolished. Where Quainton Close is today the Marshall family occupied a large house and the first airfield occupied land near the Coldham’s Brook at the bottom of Cut Throat Lane. I believe this was about 1929. At the back of the Globe public house were the Paper Mills. A little lower down was a Co-operative Creamery, where farmers brought their milk and eggs. Beyond this were tinsmiths, owned by Mr Knightly. Towards the end of Ditton Walk were the Maltings, the owners being HA & D Taylor, where barley was converted to malt. The large trees beyond the Maltings were known as Francis Trees, after the owner who visited the area from time to time in a carriage drawn by high-stepping horses. The Barnwell area began to grow and new estates were established. The Co-operative store appeared in Whitehill Road. The Post Office became more important and the stores on Barnwell Road took shape. I have lived in the area for 52 years. I remember the new Co-op supermarket in Whitehill Road – where the flats are on the corner of Elfleda Road. I also remember Proctor’s Stores, which is now Barnwell Post Office and Balfour News. The Globe once had it own brewery, while opposite, the Corona building started out manufacturing mineral water for Thomas [and] Evans. The approach to the Ditton Walk Farm was down Cut Throat Lane, which was opposite the entrance to the VD hospital in Newmarket Road. The Lane was very dark because the last light from the town was on Barnwell Bridge by the Leper Chapel, and that was blacked out, giving only a spot of light on the path. To help out with the money I used to wash the shirts, shorts, socks and towels for CUFC. I used Persil washing powder and a mangle. To get the shorts really clean I had to boil them. I scrubbed the shirts and then ironed them. The house was often full of washing! The aerodrome came into being in 1929 when the Marshall family decided to extend their home, Whitehill, to include parts of Rayment’s farm, to make a landing ground. The entrance to the aerodrome was down an unmade up lane, known by locals as Cut Throat Lane, which is still there, being the back entrance to Cambridge United football ground. This led past the Aero Club barn to a five-bar gate which prevented the public wandering into the aerodrome, but to me this was my vantage point to see the flying. Victory celebrations after WWI held on a field belonging to Mr Bert Rayment – later to become the Celery Trenches. The Ditton Walk Armistice Day Committee is pictured here. 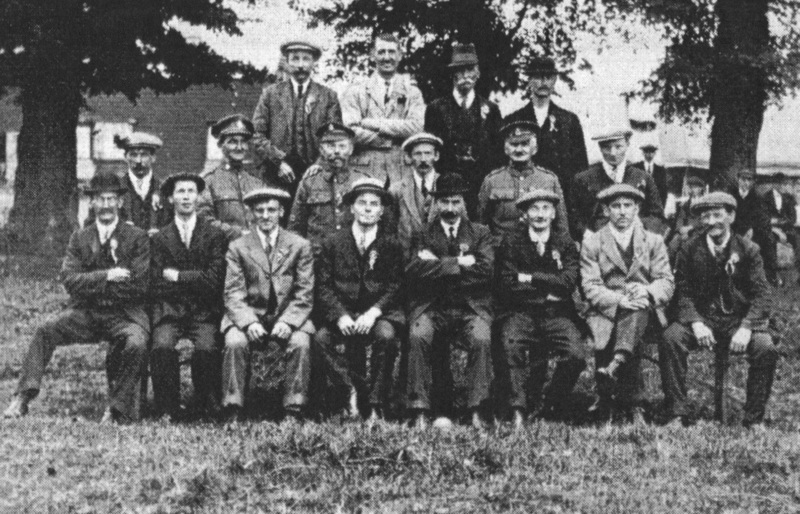 Back, from left, W Leader, Mr Dench, Mr Holmes, Mr Cullum; middle, H Stepney, unknown sergeant, Private H Pettit, Mr Cornell, Sergeant F Freeman, Mr Doggett; front, S Few, Mr Kitchener, Mr Mayes, Mr Alcroft, Mr B Rayment, Mr Pope, Mr Cutting and Mr Preston. Ditton Walk residents around 1930 on Hospital Field, the former site of the World War I Barnwell Military Hospital. The Ditton Fields estate was built on this piece of open countryside. Watts' Timber Yard in Newmarket Road, where Doug Royston's father worked all his life, in 1932. 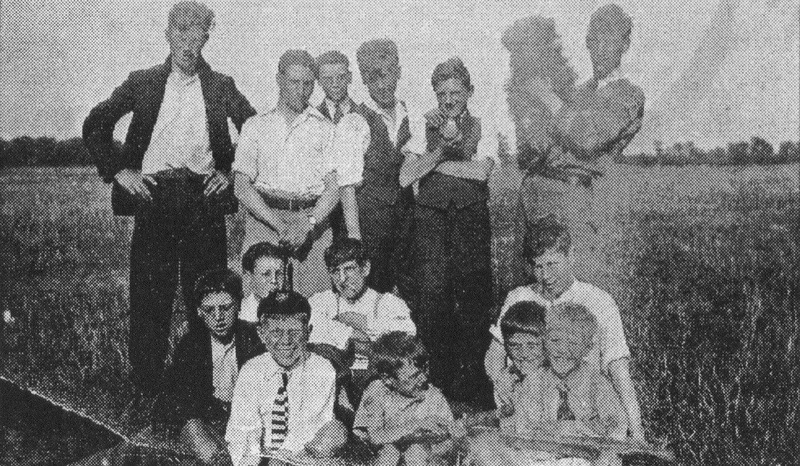 Reg Darley, Reg 'Curly' Smart and Mike Seabroke are among the happy children at the Ditton Fields VE Day party in 1945. 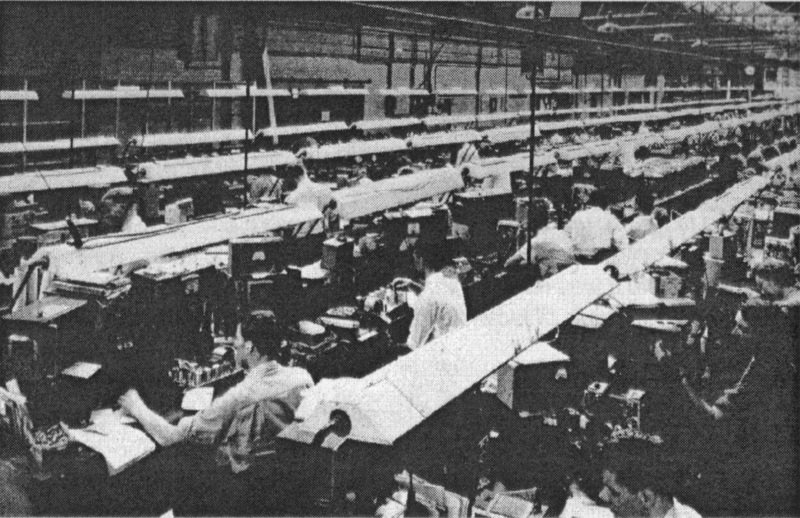 Pye Telecommunications' factory, Newmarket Road around 1950. First built as a gas mask factory, it now houses Cambridge Technopark. My family moved to Whitehill Road in 1951, when I was two. I joined Pye Telecommunications … in 1967 as a telephonist. They manufactured radiotelephones and walkie-talkies for the armed and police forces at home and abroad. At this time, before the birth of the Science Park, Pye’s and Marshall’s were the two main employers in the area. Pye’s provided a bus service to and from the outlying villages. I remember when Cambridge United were in the Southern League. My friend Maureen’s Dad was the manager. Wilf Mannion, who had played for England, played for the U’s. 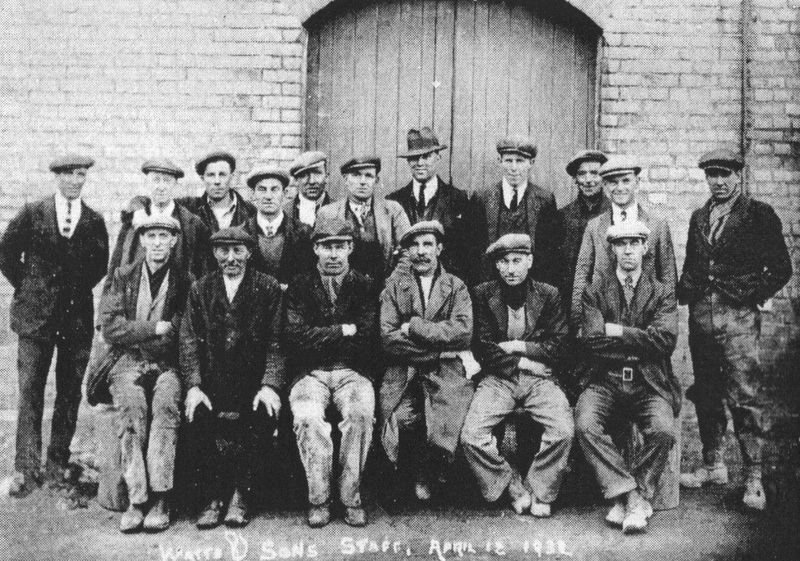 My father … spent the whole of his working life at Watts' Timber Yard, working as a carpenter. The yard was situated where B&Q and Halfords are now. A little further along Newmarket Road, where Boots and Argos are now, was an old disused brick pit into which the council and the population at large were allowed to dump their unwanted rubbish. This was a great brickmaking area and one could see the trucks going up and down a miniature railway bringing the clay up to the kilns to be made into Cambridge bricks. The lake by Barnwell Bridge opposite the old Toll House was once an old brick pit, which became flooded. 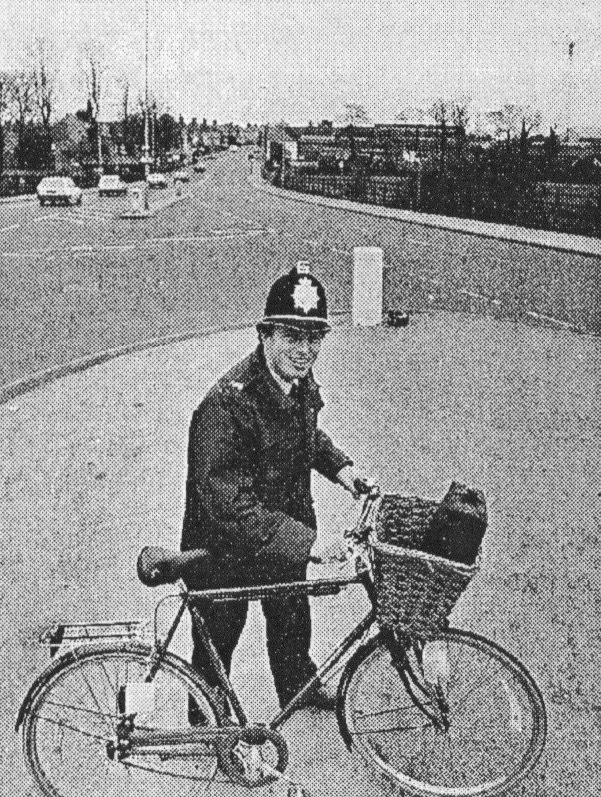 Trevor George pictured around 1980, Community Beat Officer and part of a great Abbey/Cambridge United family: grandfather Frank helped to build the Habbin terrace; father Albert played for the first team; and Trevor played for the reserves, after serving his time as a ballboy. In 1931 Midsummer Fair was held on Newmarket Road in fields, where Whitehill and Elfleda Roads now stand. That year the river had been dredged and Midsummer Common was covered in mud and sludge so that it could not be used. Living in Ditton Fields during the war was quite a tough time for us. There was Mum, my two sisters and me. Dad was in the forces, as were most Dads. Curly Smart (ex-Chairman of Cambridge United) lived opposite me, but when his Dad came home after the war they moved away. 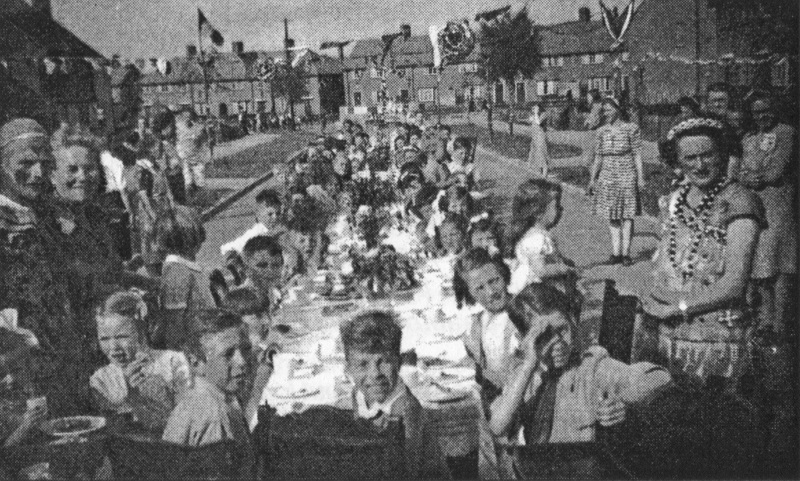 He’s right at the forefront [in the photo of] our VE Day party in Ditton Fields, along with another mate of mine, Mike Seabroke, whom I worked with later in life. I first attended Priory Junior School in September 1949, when I was five years old. The playing field was not levelled and prepared until quite a long time later. I remember when the playing field was being prepared that a local footballer from Abbey, Len Saward, was working for the contractors or the city council on the playing field when he badly gashed his ankle on a grass cutter and was unable to play football for a while. I have lived in the area since 1948. My father played for Cambridge United when it was called Abbey, and I had to watch the football on Coldham’s Common every Saturday. I remember the floodlights being erected. The Globe was a good pub at one time. The bar entrance was on Ditton Walk, the lounge on Newmarket Road. Then there was the Bottle and Jug. We used to go in there for sweets. Later it got rowdy and closed. It was popular with football supporters and there was no trouble until the club got into a high league. When they were in the Southern League there was no trouble. The Globe became a trendy wine bar, but it didn’t last. United didn’t really grow until they got into a higher league. We used to have lots of fun up there in the social club. Local people used to play in a band, there was something going on every night and it was packed out. It still is, but not quite so big. Years ago everyone went to the social club. Children weren’t allowed in pubs but could go to clubs – so parents took them there. My grandparents moved into Ditton Fields, then a new housing estate. I lived in Romsey Town but frequently went to visit them, cycling along the white path, passing the piggery. I remember helping to catch the pigs once when they got out. I was a ballboy for United in the 1960s, before and after they went into the League. The ground was not as developed as it is now and the Corona works still took up the site that is now the car park. The club gradually got more professional and more businesslike. The ground changed from being a piece of land that people played football on to a big business. During the 1950s almost all the players were from the Cambridge area. The allotment holders were not very keen on the club because balls frequently came over on to their vegetable patches. Also over time, relations with the local residents have not been as good, but this is mainly due to the huge number of people and cars that come into the area on match days. Parking is a big problem. Many of the early Cambridge United supporters cannot afford to live in the area – and this means that they also have to travel into Abbey to watch their team play.